Incorporate the timeless style and effortless appeal of Nostalgia Home's Granville Sham. 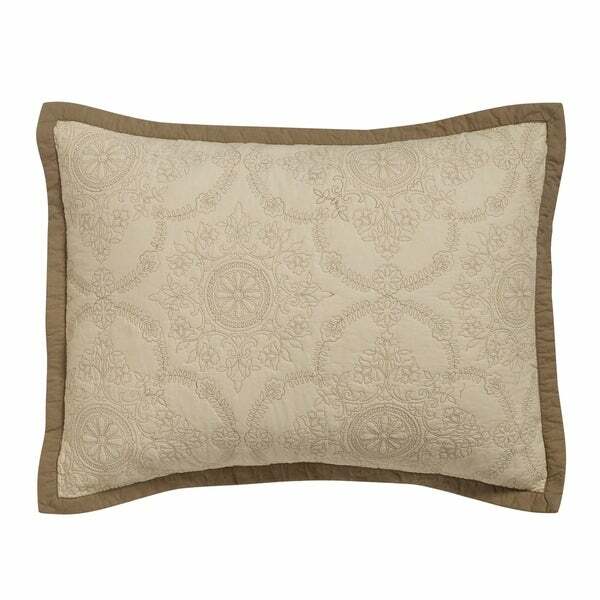 With an all-cotton Ivory cover, this beautifully-crafted sham features the handcrafted look of quilting with an all-over medallion pattern in Taupe embroidery, plus the stylish touch of a surrounding border in the same shade. At back, a flap closure provides easy access for an insert (sold separately). The Nostalgia Home Granville Sham is offered in Ivory. Includes one sham. Part of Nostalgia Home's Heritage Bedding Collection.